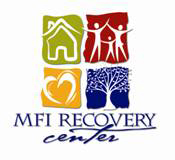 MFI Recovery treats men, women, women with children and adolescents. Over the past four decades, Riverside’s MFI Recovery’s drug addiction treatment has helped thousands of people who struggle with substance abuse regain control of their lives. Doctors and medical professionals have studied and researched the intersecting biological, psychological and social or environmental factors that contribute to substance abuse and addiction. Through evidence-based methods and dynamic approaches to treating these issues, MFI Recovery has established a highly qualified program to assist individuals and families who are struggling with substance use issues At MFI Recovery Center we understand the importance of treating ALL of you. We are now proudly providing Primary Care services to our clients. MFI has integrated Behavioral Health Services with Medical Services and have a team of Doctors, Nurses, Psychiatrists, Licensed Clinical Social Workers, Therapists, and Counselors on staff to provide the best client care possible. We have 10 locations in the Riverside area ready to help.